India’s most successful cricket captain of all time told Khabar, at a press conference in New York City, that he had an emotional reaction to his biopic film, M. S. Dhoni: The Untold Story. By all accounts, the film is a sixer in how it soars in narrating the roller coaster ride that eventually landed Dhoni into the stratosphere of success and stardom. At one level M. S. Dhoni: The Untold Story represents the story of India over the last 25 years, and of every Indian from a small town who dared to dream of reaching the heights in cricket. The man of the hour, Mahendra Singh Dhoni, is as cool and unruffled a sportsman on the field as he is self-effacing off it. He laughs off a comment from a sharp elbowed reporter in New York suggesting he has the good looks and charisma to have played himself in M. S. Dhoni: The Untold Story which will release in the fall in the United States. “I am a professional cricketer, not an undercover actor,” Dhoni deadpanned in a press conference at Fox headquarters in New York. “Sushant Singh Rajput, who plays me in the movie, is a fantastic actor with theatre experience. When we met he wanted to get into my head, rather than just see how I walk or talk. He wanted to know what made me tick, understand why I take decisions the way I do,” said India’s One-Day captain. (Left) With producer Arun Pandey, at the press conference in New York City. Dhoni was in the United States with wife Sakshi, and longtime friend, the film’s producer Arun Pandey, after playing West Indies in Florida. The Bollywood biopic brings a tragic episode in the Indian cricket hero’s life to movie screens: the death of his first love. In 2002 Dhoni was in his early 20s and trying to break into India’s national team when his girlfriend, Priyanka Jha, was killed in a road accident. A music video released by producers as a teaser shows Dhoni’s character romancing his sweetheart, played in the movie by Disha Patani, just before her death. Everyone talks about 35-year-old Dhoni’s spectacular rise, but the biopic spends time painstakingly cataloguing his journey. It gives an insight into the kinds of challenges Dhoni faced while growing up: He wasn’t a natural like Sachin Tendulkar; he started out playing football at the state level, having been rejected by the Railways Ranji Trophy team. Later, playing for a small Ranji side like Bihar wasn’t easy either, where bureaucratic disorganization almost sabotaged his rise and the 2001-02 season was an unmitigated disaster. The film, directed by Neeraj Pandey, makes us appreciate how Dhoni put everything on the line, including the safety of a government job, to slog it out in cricket’s dusty domestic circuit. “It’s a deeply emotional movie,” said Dhoni, who is otherwise so chillingly calm on the field, betraying not much emotion. “I was shown the unedited, raw footage without a soundtrack and was stunned—silent. All these things that had happened long ago suddenly became fresh: where I lived, my school, where we played. 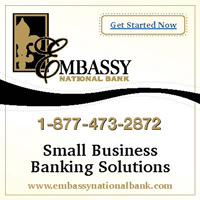 I went blank….It was nice to be in the past for a m o m e n t and get a view of what others think about me,” he added. The attacking right-handed batsman and wicketkeeper, widely regarded as one of the greatest finishers in one-day cricket, has a humble background. Dhoni’s father arrived in Ranchi in 1964 to work as a pump operator with MECON Limited, a public sector engineering firm. Dhoni was born in July 1981 and grew up in a crammed one-bedroom apartment near the city’s MECON Stadium. “If you come from a middle class family, job security is very important. As a sportsman you have a roughly 12-year professional life, but how are you going to take care of the other 40 years of your life? It can be a tough decision to choose between job security and following your passion,” said Dhoni. Dhoni’s father always wanted his son to secure an adequate education and a stable job. Under his dad’s eagle eye, Dhoni got up religiously at dawn to study for two hours throughout his years at DAV Jawahar Vidya Mandir because his evenings were crowded with football and cricket practice. In 2001, a struggling Dhoni had to turn his attention to finding an income. He moved to Kharagpur in West Bengal, where Animesh Kumar Ganguly, then a divisional manager of the South Eastern Railways (SER) was trying to build a cricket team. After Dhoni’s cross-country travel to arrive at Ganguly’s bungalow, the SER boss bowled a spell at Dhoni. It took just three balls for Ganguly to decide he liked what he saw—he gave Dhoni a job as a railway ticket collector and a spot on the SER cricket squad. The film’s tagline, “The man you know… the journey you don’t” is quite apt considering the many unknown nuggets of Dhoni’s life that it highlights. The movie shows how Dhoni developed a unique technique by playing with a tennis ball on 18-yard pitches in Kharagpur. On these pitches, bowlers consistently bowled yorkers and Dhoni had to learn to use his shoulders and forearms to dig the ball out—a skill that helps him today. The film shines a spotlight on the making of Dhoni by showing audiences the people he encountered: an array of coaches (some encouraging, others downright egotistical), mentors, friends, and even enemies. All of these colorful characters shaped the incredible journey of a small-town boy. The film gets to the heart of what made Dhoni “a man possessed” while exploding onto the arena by becoming the first regular Indian keeper to score a one-day century. Dhoni has excelled at the challenges of bearing the triple responsibility of being a specialist batsman, wicket keeper, and captain. A crowd pleaser, the film gives audiences a rare glimpse into Dhoni’s personal life. In 2010, Dhoni married Sakshi. The two have known each other practically all their lives as their families are close friends. In February 2015, the couple had a baby girl, Ziva. The role of the Indian skipper’s wife is played in the biopic by Kiara Advani. “When we landed, we had to get out of the airport in a police van. I was sitting next to Viru paaji [Virender Sehwag]. It was late in the night and we were traveling at a decent speed... but media cars followed us with their cameras and big lights; it felt as if we had committed a big crime, maybe like a murderer or terrorist. We were actually chased by them and ducked into a police station,” said Dhoni. Dhoni’s house, which was under construction in Ranchi, was pelted with stones and vandalized. “That actually had a big impact on me and I channelized the aggression to become a better cricketer and a better human being,” said Dhoni. 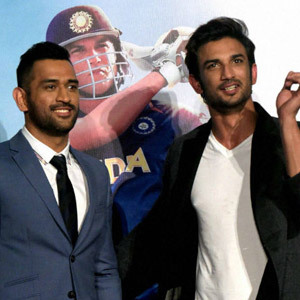 (Left) The sportsman and the actor: Dhoni with Sushant Singh Rajput who portrays him in the movie. “We would carefully analyze it and fix the bowling machine into one spot and then we would play the same shot at least 200, 300 times a day for a week to a point that it came naturally,” Singh told Agency France Press (AFP) in an interview. The film includes scenes from Dhoni’s childhood when football was his passion, as well as his years as a young ticket collector. It culminates with Dhoni’s heroics in leading India to victory over Sri Lanka in the 2011 World Cup final. The skipper hit an unbeaten 91 off 79 balls, including a match-winning six. Fast paced and exciting, the film captures one young man’s full-throttle journey from obscurity to international stardom. Fox is releasing the film in key markets including the United States and U.K. and in the other regular Bollywood diaspora markets in South East Asia, Africa, and Europe. Through a chain of distributors the title is also going out in nonregular Bollywood territories such as Japan, Spain, France, Hungary, Poland, the Philippines, and the West Indies. Fox Star Studio is super confident that the fast paced Dhoni film, written and directed by Neeraj Pandey, will resonate strongly at home and overseas with Indians and cricket fans. Uttara Choudhury is Editor, North America for TV 18’s Firstpost news site and contributor to Forbes India. She has been covering business, bilateral relations, society, entertainment, and more for over two decades.